Technically, recreational marijuana in Massachusetts is now legal. The only problem is there’s no place to buy it. That’s because the process to license dispensaries has been slow to develop in the Bay State. While a few initial licenses have been granted, time is still needed to set up the regulatory system around marijuana sales. For example, the state recently pushed back legalized sales when they announced they did not yet have a licensed marijuana testing facility. Steven Hoffman, chairman of the state’s Cannabis Control Commission, even apologized to Massachusetts voters about the delays. On the positive front, the state has approved the first license for a recreational marijuana dispensary. That went to Cultivate, which opened the first medical marijuana dispensary in Worcester County. Cultivate will run a retail dispensary out of its existing medical marijuana dispensary in Leicester. The state also granted a grower’s license to Sira Naturals, a cultivation facility in Milford, west of Boston. However, that approval did not happen until June. 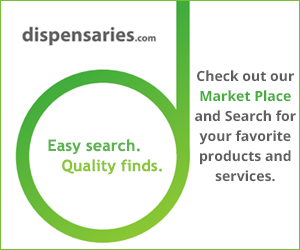 Approval of dispensaries also must come from the local government where the dispensary plans to operate. That could be an issue in many parts of the state. As of July, about 190 towns and cities across Massachusetts had either placed moratoriums or bans on marijuana sales in their area, according to Rolling Stone. Some also have banned any type of marijuana-related business, which could include cultivators or testing facilities. So, while the first licenses have been granted, no one is expecting marijuana in Massachusetts to reach the heights of cannabis business in California, Colorado, Oregon, Nevada and Washington. At least, not in the near future. The snag in late June involved the lack of a testing facility. That is a requirement before recreational sales can begin, as the state will test cannabis as part of state regulations. The state has asked for the bidding process to choose a testing lab to be expedited. Still, it will likely take until late summer or early fall before the license is granted for a lab. Voters approved recreational marijuana in Massachusetts in November 2016. As the state takes it time getting the system in place, other states that legalized recreational marijuana sales in 2016 – California and Nevada – already have a recreational marijuana sales system up and running. Maine, which also approved recreational sales in November 2016, is still trying to hammer out a system that will get approval from Republican Gov. Paul LePage. He vetoed the original legislation in 2017. ← What Politicians Have Smoked Weed?